Erin Blegen: My Scrap Cabin: "Hello Gorgeous"~ C'est Magnifique May Kit Sneak! Good morning and Happy Monday :)~! I hope you all had a wonderful weekend~ we celebrated my niece Paisley's first birthday (aren't firsts the best?!) and got to spend the day with my sister and her family. Sunday was spent unpacking more boxes and getting things organized in our new house. There is so much to yet do- but it's getting there :). This gorgeous "model-esque" photo of my daughter could not have been more perfect a match for this kit! Between both the stunning Pandore and Webster's papers, I easily pulled each of the bright colors out of my photo and onto my layout. Also, I'm a huge fan of fussy cutting, and there's just a ton of opportunity for that with the May kit! I love that just a few clippings here and there can really bring some body to my clusters, while adding interest and detail. And don't forget to join us this coming Friday!! This is gorgeous as well as being unbelievably cute.. love all your clusters of flowers and dies, and all the color.. brightened up my day!! This is beautiful, Erin, and certainly captures spring! I love those flowers with the writing on them. 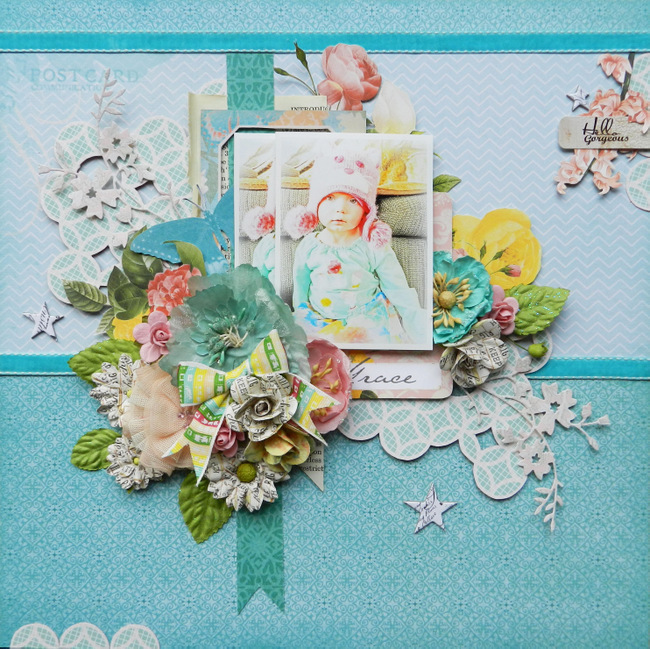 What a stunning layout Erin, and that photo is just too adorable! This is just beautiful! The mix and layers are stunning here! oh how I love the colors on this LO!!! this combo of blue and yellow is so fresh and pretty! 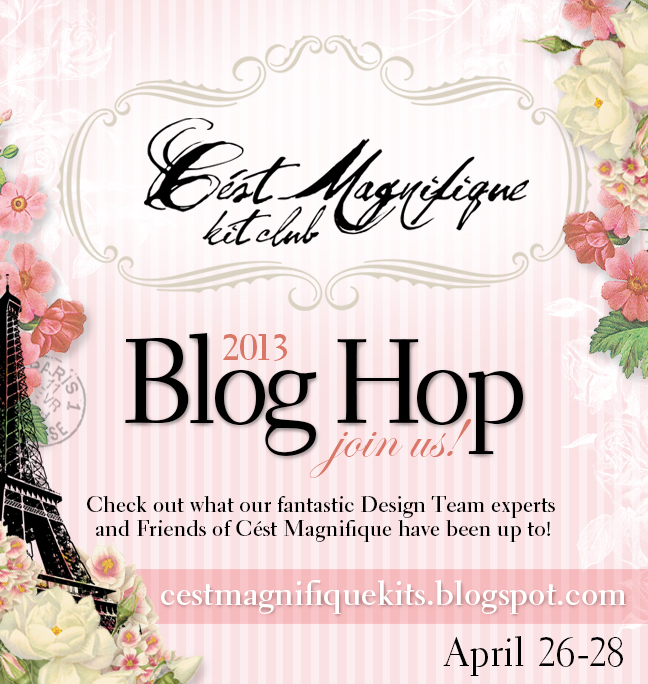 love the gorgeous design of your page, Erin! love this one so much, love all the colors against the blue and that photo of Aspen, sooo sweet! The colors in this page are SO pretty..I love everything about this one! Stunning! Gorgeous Erin!! I love the way you used the colors form the photo and all the pretty fussy cut embellies! The photo of your daughter is So beautiful and what a fabulous way to show it ;) Hope you get some spring soon! Gorgeous page Erin!! Love that Blue and the circle pattern peeking out from behind your photos and embellishments! And I agree with you on Phil and Mrs. Kaye...and I love Jase! He cracks me up with that dry humor! !